Generally speaking, if a phone launches a Snapdragon 845 (currently the best mobile processor on the market) 6GB RAM (the gold standard of mobile memory) and most of the must-have amenities of modern smartphones, you’d expect to drop about $700 on it – like the Samsung Galaxy S9, or LG G7, perhaps. If you’re phone-savvy, you might even save a couple hundred bucks on a Xiaomi Mi Mix 2S or a OnePlus 6. But $300? For those specs? All but unheard of. We’d like to thank our friends at GearVita for supplying the device for this review. We’ve placed a link at the end of the review if you’d like to purchase the Xiaomi Pocophone F1 from GearVita. At least, so we thought. 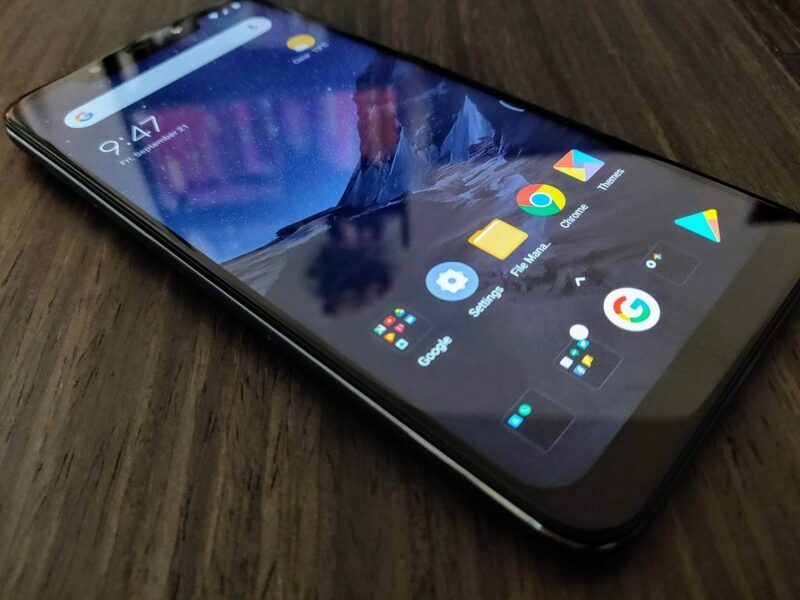 The Pocophone F1 (from the aforementioned Chinese tech giant Xiaomi) crams flagship-caliber hardware into bargain bin pricing, while simultaneously cutting very few corners in the process. 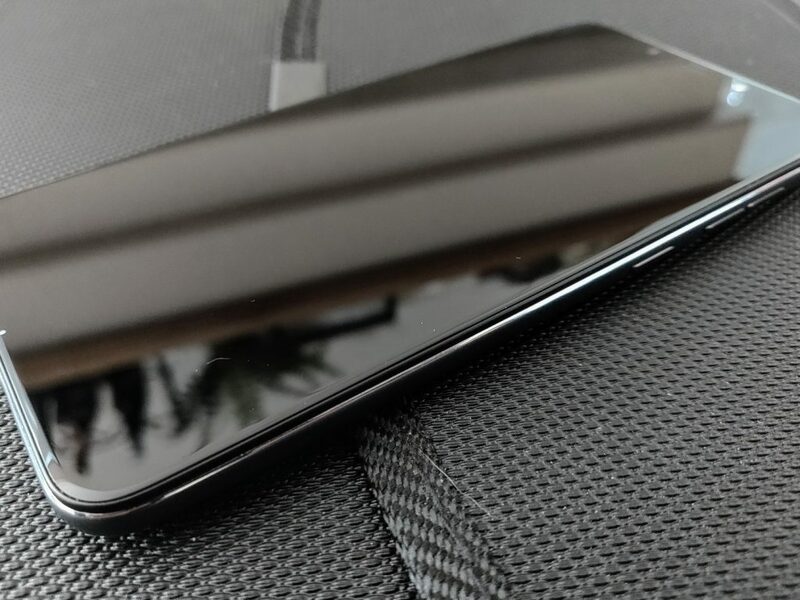 Released in August and starting at just $300 for the base model, the F1 features a very impressive spec-sheet worthy of a phone twice its price. The Pocophone F1 has a surprisingly solid display, under the circumstances. 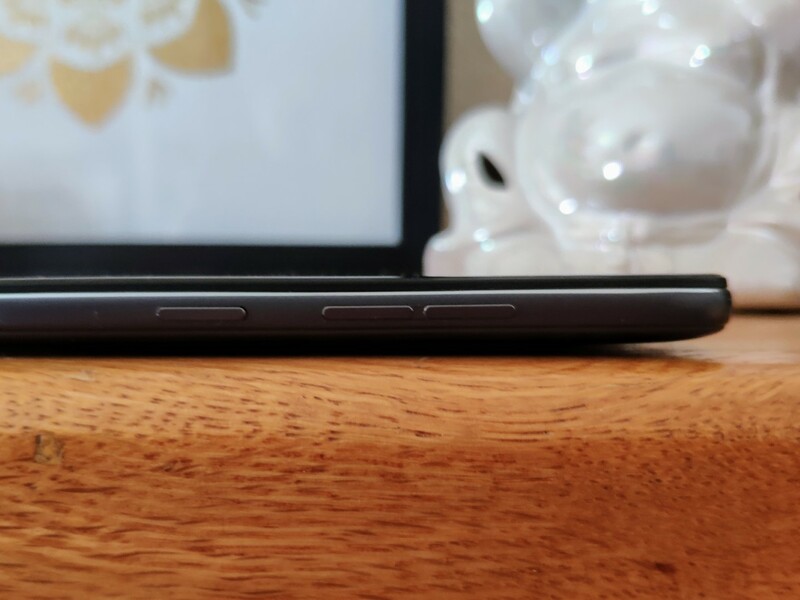 It features a 6.2″ 1080p screen, which is going to perfectly adequate for the majority of consumers. Indoors, the display is pretty bright. But outdoors, in the direct California summer sunshine, it’s just a hair dim. If you compare it to other flagships on the market – most notably the AMOLED King itself, Samsung – it falls a bit short. But (and I cannot and will not emphasize this enough) you’d be hard-pressed to find a phone with a better display at this price point – or even double that – than this phone. According to the good folks over at Android Central, POCO considered using an AMOLED display but decided on an IPS LCD instead. This concession helped keep the cost of the phone – and therefore the resulting price – down. When it comes to hardware, the Pocophone F1 features specifications normally reserved for a phone double or triple its price. At its core is the beastly Qualcomm Snapdragon 845 System on a Chip (SoC) complete with Adreno 630 graphics. The rest of the F1’s specs are equally impressive – it packs 6 or 8 gigs of LPDDR4X RAM and 64, 128 or 256GB of UFS2.1 Flash Storage – more high-end gifts from Xiaomi. It features Bluetooth 5.0 and 802.11ac WiFi courtesy of its Snapdragon 845, as well as a rear-mounted fingerprint sensor and front-mounted InfraRed (IR) scanner. The latter of these modules is sourced directly from Xiaomi’s Mi 8, along with the 20MP selfie camera (more on that later). All of these fancy part numbers and buzzwords are great and all, but how does it run? In a single word; Great. With a ridiculous 285k aggregate AnTuTu score, it lands squarely between the OnePlus 6 (286k) and the Samsung Galaxy Note 9 (283k). That’s pretty great company to be in. Granted, that metric only measures raw processing power and doesn’t take into account things like firmware and the performance of accessory modules. But my daily use over the past week and a half or so back up those numbers; this thing really cooks. 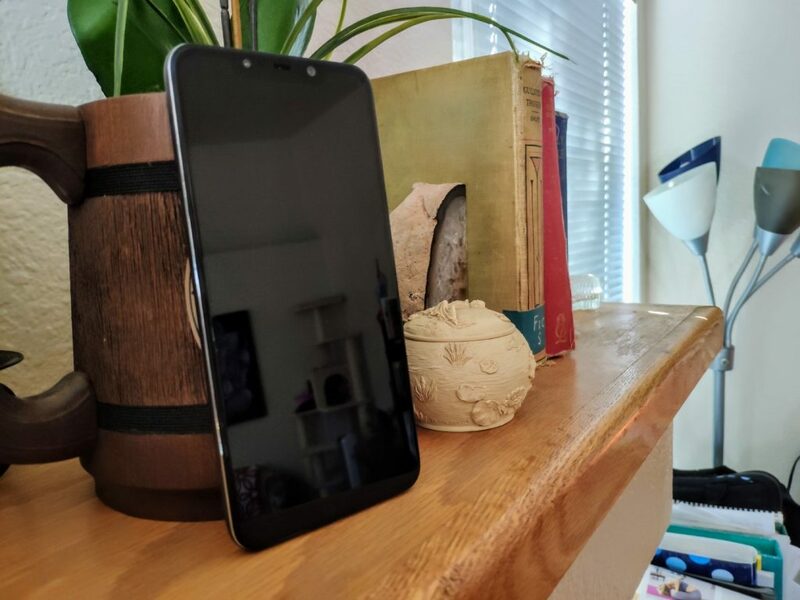 With far and above the best mobile processor on the market and better than average room and storage, it begs the question; how did Poco manage to pull it off? The answer lies in Poco’s parent company – Chinese tech super-giant Xiaomi. Poco’s Head of Product, Jai Mani, tells Android Central that Xiaomi is one of Qualcomm’s biggest purchasers of 800-series Snapdragon processors. As such, by ordering in large quantities and negotiating hard, Xiaomi is able to get a much lower price-per-unit than other OEMs. That, combined POCO’s adoption of Xiaomi’s policy to never making more than 5% profit on hardware sales, helps make that $300 unicorn-grade pricing a reality rather than a pipe dream. This is a theme that’ll likely recur throughout this review – many of POCO’s hardware components are sourced directly from Xiaomi or, even more deviously, cannibalized directly from other Xiaomi phones. One area a $300 flagship-killing phone would struggle, one might correctly guess, is in its build quality. The Pocophone F1 features a polycarbonate body – a purely cost-saving measure that’s significantly cheaper than making the body from glass, ceramic or aluminum. POCO also opted to use Gorilla Glass 3 rather than a more modern standard for its display, which is nearly three generations old at this point. 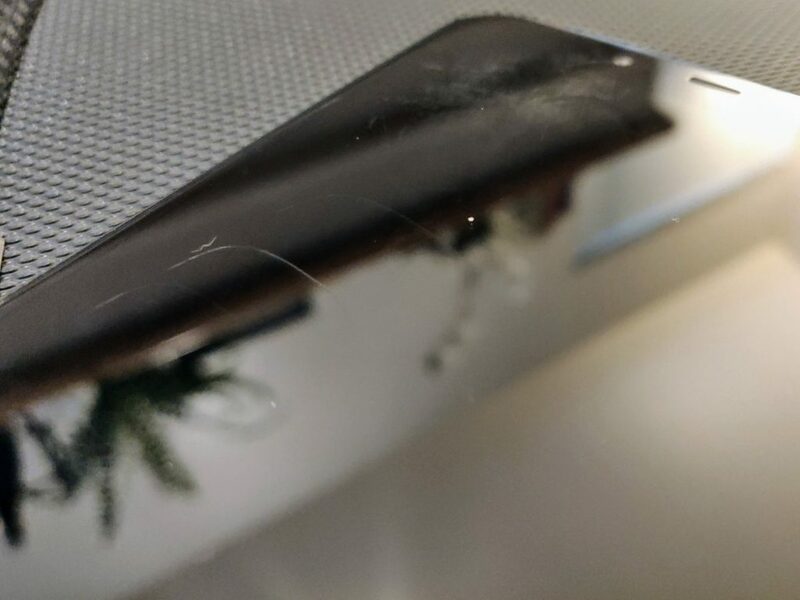 In the short time I’ve used the Pocophone F1, it’s picked up more scratches than any of my phones in the past few years. 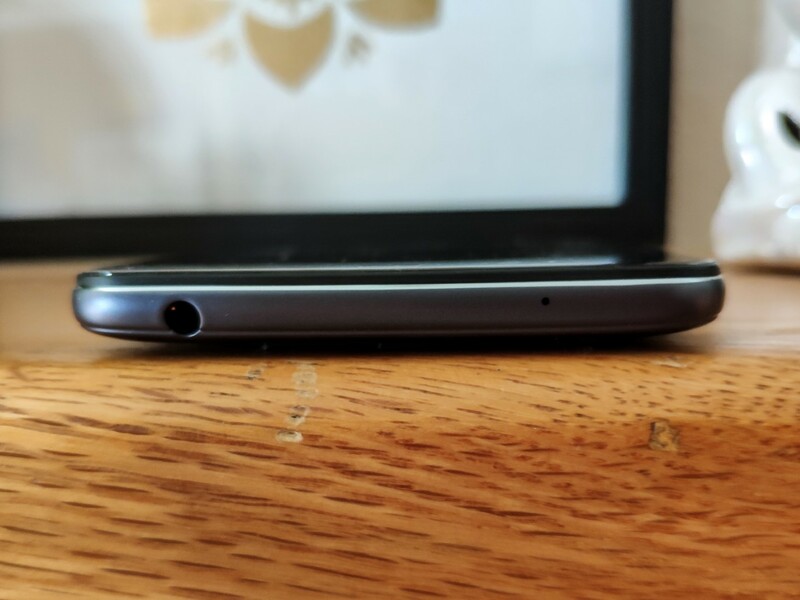 Whether that’s simply bad luck or the fact that POCO used an outdated material, I don’t know – but it’s definitely one of two disappointing spots in my time with the F1 – an otherwise stellar device. I won’t sugar coat it for you, the “Stereo” speakers on the Pocophone F1 are not great. 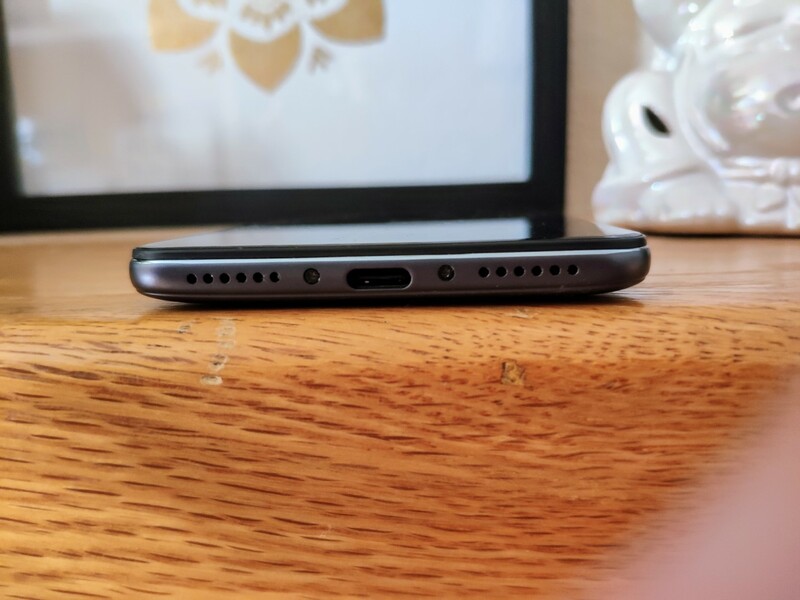 In anything other than a quiet room you’ll struggle to hear it even on max volume – and I use “Stereo” in quotes because while the phone has two speaker grates on the bottom, there’s only one speaker in there. Covering up the right one makes sound all but muffled, while covering up the left one doesn’t impact sound in the least. It’s a fake speaker grate, and marketing the phone as having Stereo speakers is rather disingenuous of Xiaomi. The other of these disappointments, unfortunately, the F1’s connectivity standards and performance. The skinny of it is that neither the Indian nor International versions of the phone support the LTE bands that US carriers use to power their LTE networks. It supports most GSM bands for 3G networks here in the states – including the oft-labled HSPA+ “4G” ones – but none of the true LTE bands. In practice, this means that US-based consumers won’t be able to make use of the fastest speeds available to T-Mobile or AT&T customers. And unfortunately, LTE bands aren’t the only problem with the F1’s connectivity. Despite its Bluetooth 5.0 chip, it does not appear to support the Enhanced Media aspects of the Bluetooth 4+ series. It struggles to both pair and stay connected to my ’15 Honda Fit, as well as my Jabra Elite 65t earphones, the latter of which does not display its battery life as it does with other devices. These problems can – and may – be fixed with firmware and software updates, but at the moment it leaves a lot to be desired. I’ll be sure to update you if that changes. As with its build, one might guess that in order to achieve that wildly-competitive price point, POCO would sacrifice camera performance. But – unlike Build – one would be wrong, in this case. 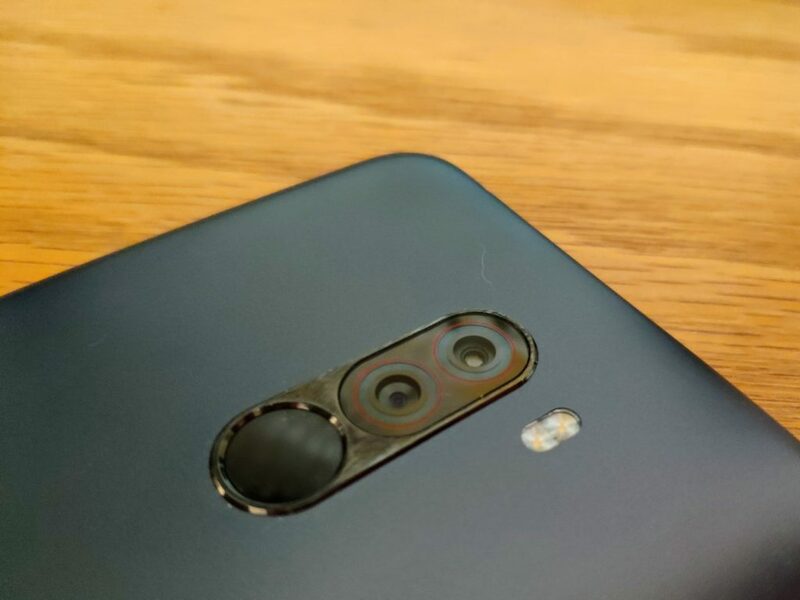 The Pocophone F1’s rear camera is adopted from the Xiaomi Mi Mix 2S – which is to say, it’s quite good. The front camera is the same 20MP sensor you’d find on the Xiaomi Mi 8, which – combined with the aforementioned IR sensor from the same phone – makes up that now infamous notched display. As you’d expect from a sensor adopted from the Mi Mix 2S, the Pocophone F1 shoots excellent still shots, in all shooting conditions. Video doesn’t perform quite that well, but is still very much above average – especially for the price. As is typical of a Xiaomi-made phone, the Pocophone F1 has a plethora of shooting modes and options, many of which will never be touched by the average consumer. Do I really need to push this point home further? It’s a $300 phone. With $1000 guts. It’s an absolutely amazing value, the likes of which we haven’t seen since Google’s Nexus line of phones. It’s got a couple warts, sure. 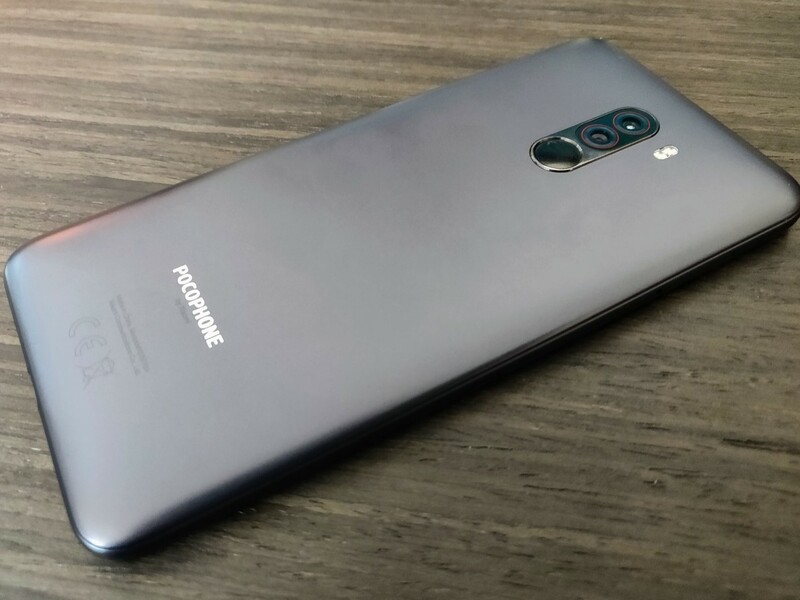 But, as a whole – and perhaps representing the first effort in a new line of value phones – the Pocophone F1 is stellar. As it stands right this second, the F1 is worth a buy if you live anywhere not named the U.S. of A. Its lack of support for LTE bands really puts a damper on its usability in the States; but if you live in a supported country, it’s honestly an unbeatable value. Again, we’d like to thank our friends at GearVita for supplying this device for review. If you’d like to pick up a Pocophone F1, head over to GearVita and pick yours up today. 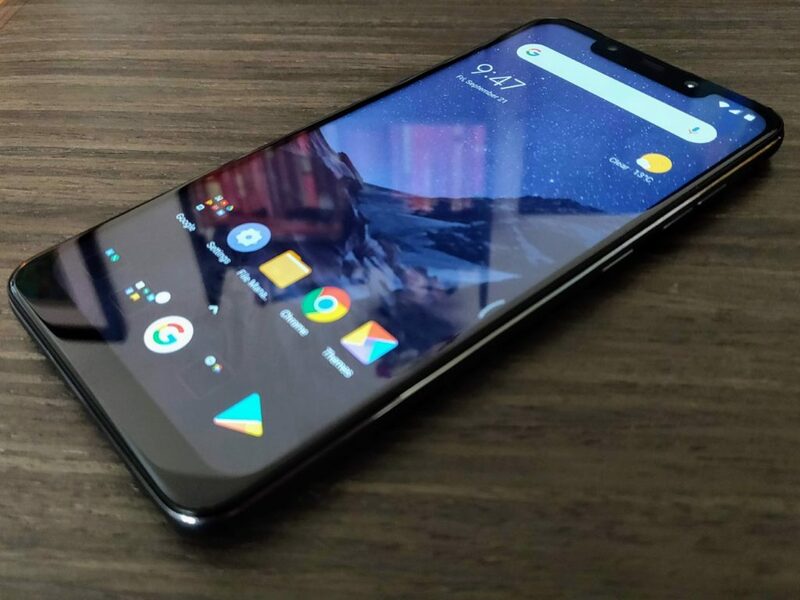 Make no mistake, though – if this experiment by Xiaomi is a success, and POCO decides to release an F2, or add a F1 North American Edition to its lineup, the Pocophone F-series could explode onto the phone scene in a way we haven’t yet seen from a Chinese OEM.